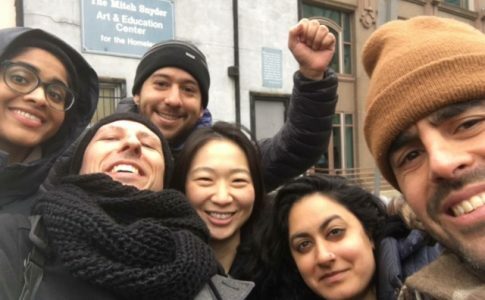 Union bureaucrats tried to stop workers from mobilizing for today’s general strike. Despite their active or passive resistance, the Brazilian working class organized pickets and work stoppages around the country. 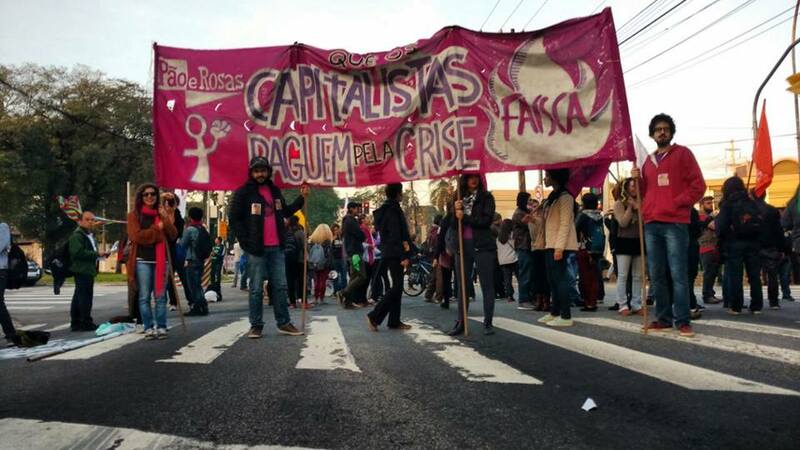 This morning there were several pickets and mobilizations in many places around Brazil as part of the general strike. This is the second general strike in three months and people are protesting the austerity measures by the Temer government. Particularly, they are protesting labor reform laws and pension laws that would increase the age of retirement. The Temer government is in a deep crisis and only has a 7% approval rate. Having come to power by an institutional coup, Temer spent the past year implementing austerity measures. 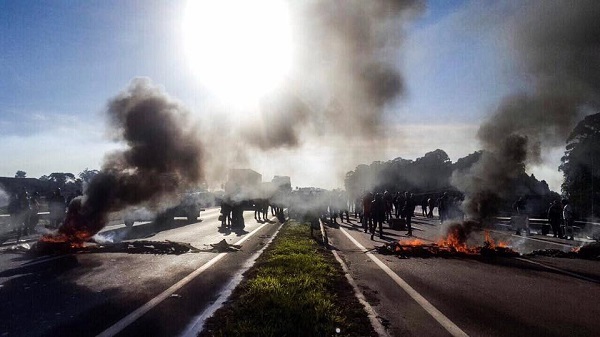 In the past 6 months, the working class has begun to fight back, first with partial work stoppages and later with a general strike– the largest Brazil has seen in decades. 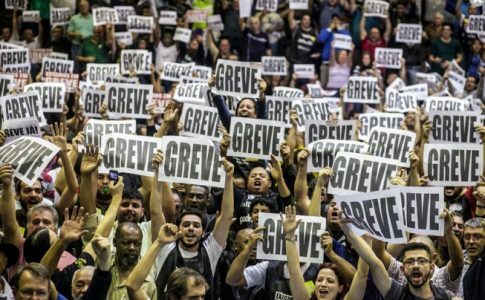 However, the union bureaucrats, many who are deeply connected to the Workers Party (PT) or even to business interests do not want to mobilize the working class to fight for their rights. 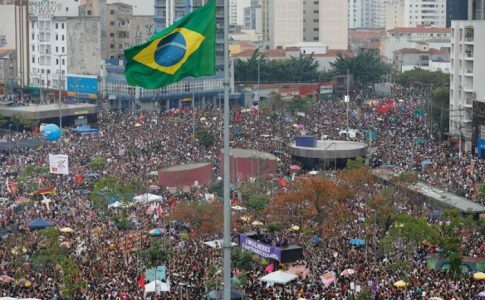 They called a general strike for nearly a month after a huge protest of over 100,000 in Brasilia, making sure that there was time for the energy generated by the mobilization to peter out. Some unions who are more closely tied to the bosses and business community even spoke against the strike. The unions tied to the PT refused to organize assemblies and organize workers to make the strike a reality. Yet, workers still organized pickets and work stoppages, facing off against police repression all over the country. Here are just a few examples. In Rio de Janeiro, ferries that carry workers from a nearby city to Rio de Janeiro was completely stopped this morning. 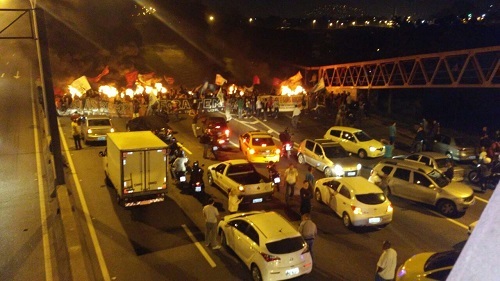 One of the major highways was shut down by workers pickets as well. There, the workers and students faced brutal repression from the police. Two people were injured– one by a rubber bullet and one had their leg broken during the brutal repression. 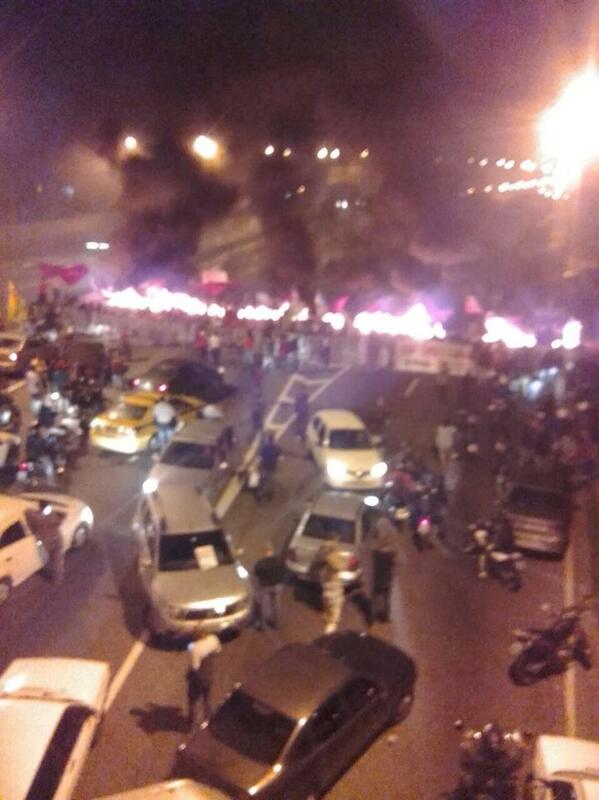 A major highway in Sao Paulo, Anchieta, was blocked by protesters. 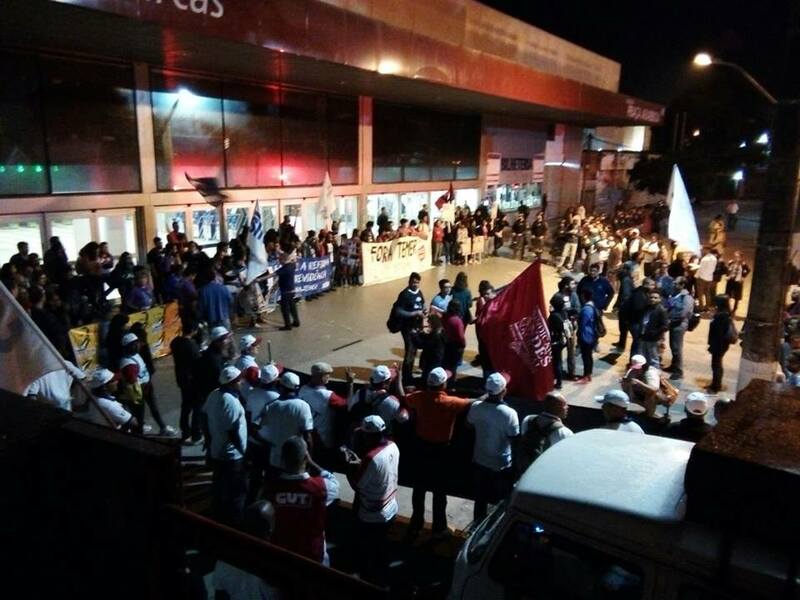 USP, the largest university of Sao Paulo had their main entrance blocked by workers and students and another protest took place in the South of the city. 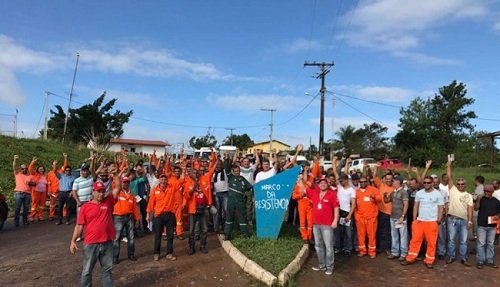 In Ceara, bank workers, electrical workers, metallurgists, education workers (state, city and federal teachers and professors) and transportation workers all went on strike today. 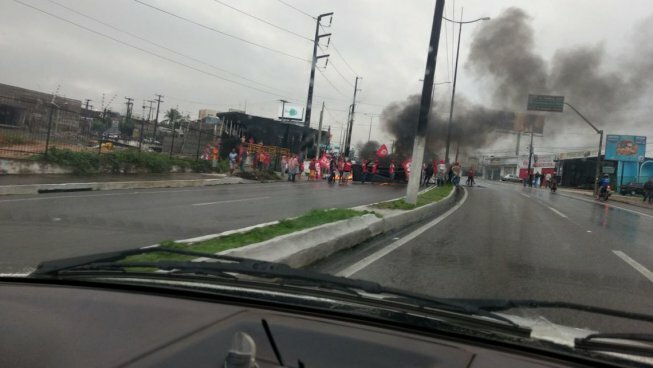 In Salvador, bus drivers blocked the roads and refused to work. Trains are also not running in the city. 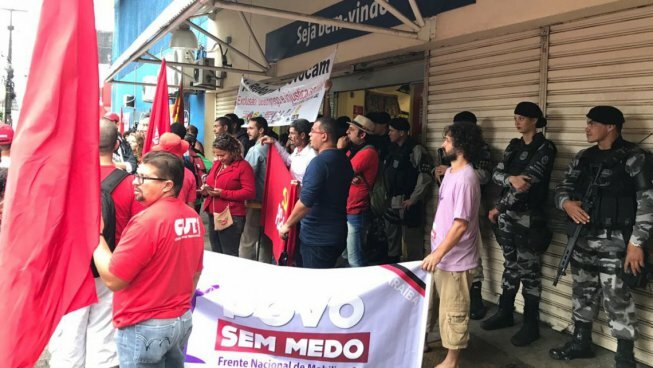 In Porto Alegre, the bus garages for Trevo and Carris were closed due to workers’ pickets. Both were heavily repressed by the police. Still, the workers stayed at the door, making it difficult for any buses to leave the garage. 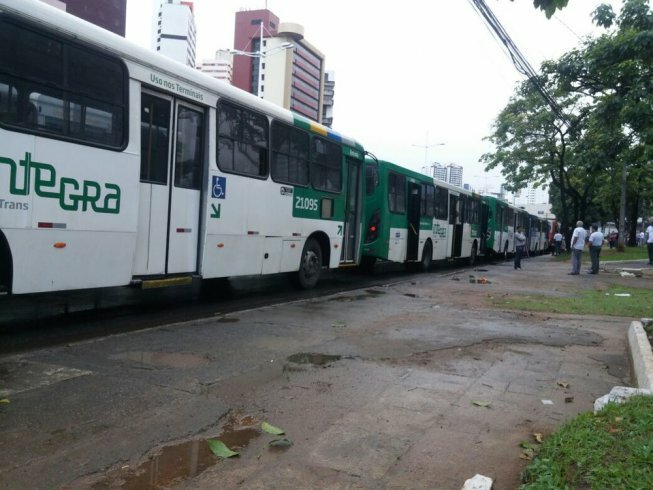 In Campina Grande, the buses went on strike, making it impossible to get around the city. Education workers and bank workers are also on strike. In Natal, buses, healthcare workers and bankers were on strike today.